Clary struggles to find where she belongs, while Simon seeks Magnus’ help in “A Door Into the Dark,” an all-new episode of “Shadowhunters,” airing MONDAY, JANUARY 9 (8:00 – 9:00 p.m. EST), on Freeform. The hunt is on for Jace Wayland, and Alec and Isabelle hope to reach him before the rest of the Shadowhunters do. With orders from the Clave of “shoot to kill,” the Lightwood siblings must act fast. 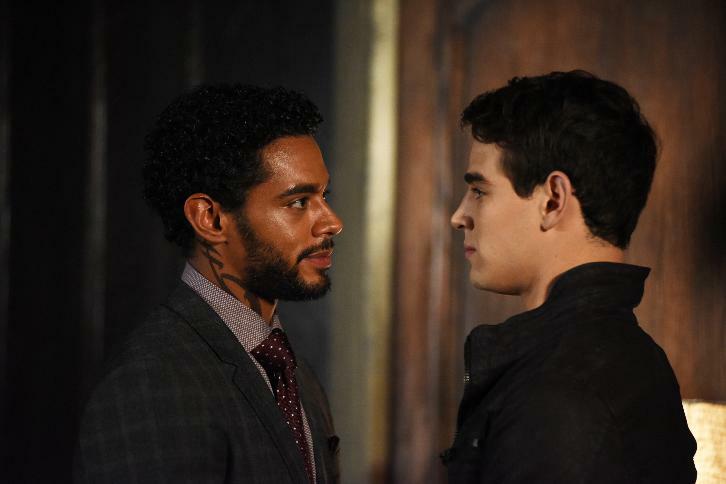 Also on his own search, Simon turns to Magnus for help when he finds himself at odds with both Raphael and Aldertree. Meanwhile, Clary struggles to find where she belongs since she doesn’t seem to fit into the Shadowhunter world, yet can’t go back to her mundane life. “Shadowhunters” is produced by Constantin Film and executive produced by Todd Slavkin, Darren Swimmer, McG, Michael Reisz, Matt Hastings, Mary Viola, Martin Moszkowicz and Robert Kulzer. The series stars Katherine McNamara as Clary Fray, Dominic Sherwood as Jace Wayland, Alberto Rosende as Simon Lewis, Emeraude Toubia as Isabelle Lightwood, Matthew Daddario as Alec Lightwood, Isaiah Mustafa as Luke Garroway and Harry Shum Jr. as Magnus Bane.